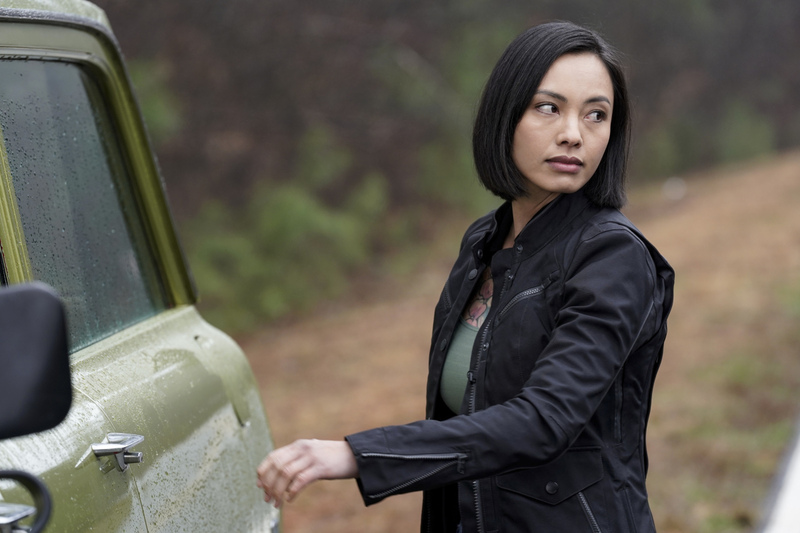 Preview images and guest cast list for the MacGyver CBS episode "Friends + Enemies + Border"
MacGyver and Desi help a group of Syrian refugees who are being pursued by human traffickers. Also, in Los Angeles, Bozer is trapped in Oversight’s car which is rigged to explode, on MACGYVER, Friday, April 12 (8:00-9:00 PM, ET/PT) on the CBS Television Network. MacGyver stars Lucas Till (Angus “Mac” MacGyver), Tristin Mays (Riley Davis), Justin Hires (Wilt Bozer), and Meredith Eaton (Matty). Levy Tran also appears as Desi. Guest stars in “Friends + Enemies + Border” include Alla Korot (Dr. Arza Terzic), Andre Reed (Prosecutor), Faruk Amireh (Adnan), Odelya Halevi (Sana), Nick Massouh (Nazir), David Bianchi (Oscar), Annika Pampel (Emina), Noor Maher (Yasmin), Mo Gallini (Daris), Johnny Kostrey (Harun), Ned Yousef (Bilal), and Marco Guerrero (Gangster).